Today, finding job is already a “work” you may call to. The competition in the corporate world is getting fierce and stiffer and stiffer. I was one of the many people who kept of applying to different companies but hasn’t met the luck yet. That is why I decided to search a job on the internet. Luckily, I was accepted but another business idea is running in my mind. 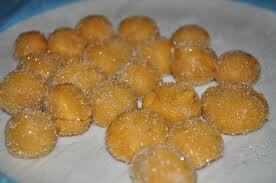 Home-made food business-yema balls on the go.